14th Edition, 2018. 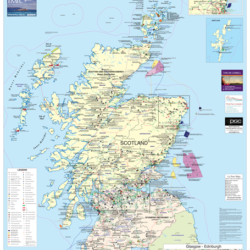 First published map available to show the electricity transmission and distribution network in the Scotland – 33kV-400kV and includes substations against a backdrop of areas controlled by Scottish Power and Scottish & Southern Energy. This full-color map shows all generating stations Nuclear, fossil fuel and renewable energy are shown by symbol together with the project name, operator and generating capacity. This includes all projects built or concerned. Covers Wind, Hydro, Biomass, Landfill Gas, Wave, and Tidal as well as conventional power stations. All Offshore Leases for Wind Wave and Tidal are shown including test sites. Publisher, La Tene Maps. Published in association with the British Hydropower Association every 3 years. Three editions have been published over the past ten years. 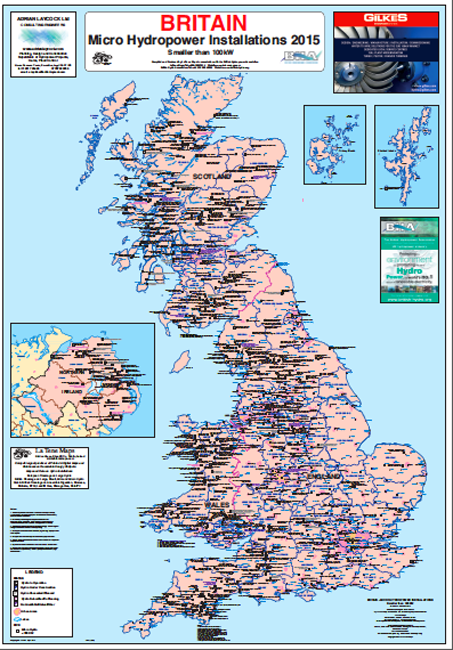 The map shows hydropower installations in Britain over 100kW together with site name, operator and generating capacity. A series of symbols different size symbols indicates whether the site is a large, small or mini hydro site. Symbol size indicates site status covering operational, under construction, consented, in planning and proposed. Sites less than 100kW are shown on a separate map. 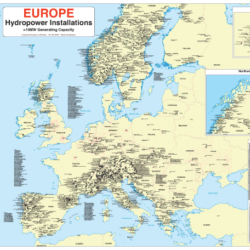 This is a new map in our Hydropower series. 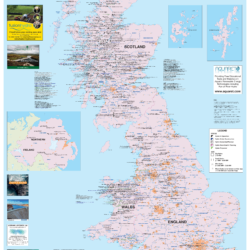 It is produced in association with the British Hydropower Association (BHA) and focuses on sites smaller than 100kW. Shown are all sites by location together with site name, operator and generating capacity. Symbol colour indicates the status of the site. This map covers sites that are in operation, under construction, Fully planned (consented) and sites that have been submitted to planning.